This book stands out for its simplicity of style, transparency of voice, and modesty of ambition. It makes an argument about the power of intentional “mentoring communities,” composed of peers at different stages of career. The authors ground the argument in their experience participating in such a community under the auspices of the Fetzer Institute and also organizing and participating in mentoring communities on their own campuses over a two-year period. Their conclusion: mentoring communities, by supporting and challenging their members to “identify and reconnect to their core values, revitalize their individual dreams, and renew their commitment to goals that serve as the foundation for their work and their lives,” help their members orient their choices and creative projects around their deep purposes and values, and so animate, from within the group, reform in higher education (5-6, 31, 87-88). The authors demonstrate what too few believe: that the solution to what ails higher education, in no small part, lies within the people whose vocation it is to teach and support students’ learning. The transparency of their reporting and reflection on experience lends credibility to the authors’ argument – they “show” far more than they “tell.” The authors refreshingly avoid both indulgence in lament and speculative grand proposals. In language free from jargon yet saturated with the vibrancy of lived experience, they provide a readily accessible “how to” for initiating mentoring communities. These are decidedly not committees, which have “institutional mandate[s] and goals,” or therapeutic groups – which focus on “participants’ emotional wounds and disorders” (20-21). Rather, they are groups of four-to-six colleagues who commit to mutual mentoring, with the intention of helping “participants explore, form, articulate, and live out of their values” (21). The groups focus on “strengths and virtues” not “wounds and weaknesses” (21). The authors refer to these communities as “formation mentoring communities,” using the term “formation” to highlight the orientation around helping members develop as whole persons, cultivate “shared human capacities,” and advance “each person’s particular gifts and talents” (14-15). This slim volume is a superb guide to preparing groups to enter into and sustain serious conversation. 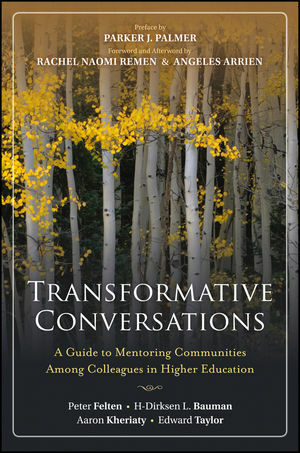 In four short chapters the authors describe mentoring communities, elaborate on the practice of conversation, explain how to organize a mentoring community, and illustrate how to do collaborative leadership in the groups. In the last chapter they argue for the centrality of such communities to any serious institutional change in higher education. 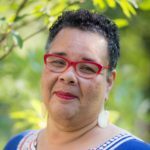 The authors also provide a rich bibliography of resources on education, convening and facilitating, dialogue and conversation, formation and spiritual direction, mentoring, and community. While not directed explicitly to theological education or religious studies in the liberal arts, deans, department and program heads, and faculty in these settings should read this book. 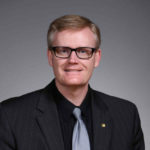 It will provoke thinking regarding and offer strategies to those desirous of welcoming new colleagues into institutions; those wanting to provide better support for colleagues contemplating the next phase in career or life; those wanting to support graduate students; and those concerned with how to compose more satisfying, sustainable, meaning or purpose-anchored lives across the career span.